A 50-year-old Rohingya refugee named Salim fled the atrocities occurring in Myanmar in search of a better life, as is his right under the United Nations Refugee Convention, of which Australia is a signatory. Salim has instead been handed indefinite incarceration on Manus Island. 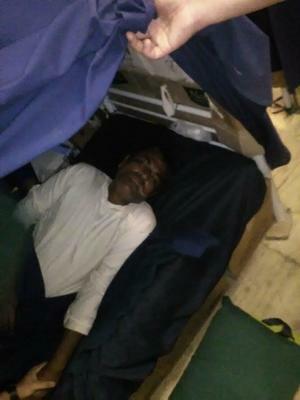 The 50-year-old arrived on Manus an epileptic and has been refused the correct medication to treat his condition for over two years. Without proper medication Salim’s seizures last at least an hour. He is now severely brain damaged as a result. An email from one of Salim’s friends in November last year details a Salim’s dire situation. “Salim is in a terrible sate,” it reads. “He is sitting in the sun disorientated and vomiting. Many attempts to move him have been in unsuccessful and IHMS say they won’t help until he collapses completely. “I don’t know in what universe this is acceptable from a medical professional, but not in ours. Salim has been admitted to hospital in Australia three times and sent again to Manus RPC. “When he returned this time his medication was changed and he is now fitting several times a day,” it reads. Other correspondence details incidences of Salim falling face-first onto concrete during fits. This is just one of the many devastating anecdotes told at the Community Refugee Forum at Outlook Community Centre on Thursday 12 April. Guest speaker and refugee advocate Anne Moon stopped her presentation a number of times on the night, choking back tears. 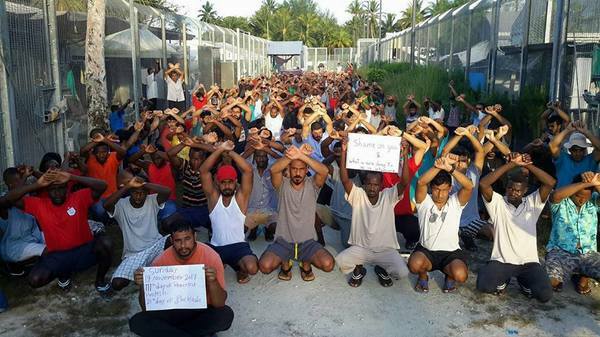 Ms Moon has visited the men on Manus Island three times, with another trip in the works. There were photographs of detainees littered throughout the presentation, every one of which she knew by name. One named Rajeer visited Ms Moon two days before he committed suicide. Another, who is over six-foot tall, calls Ms Moon his ‘mum’. 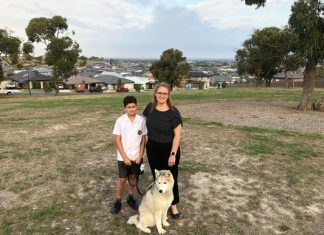 Ms Moon describes herself as a “Gippsland girl” – she grew up in Morwell and went to boarding school in Sale, before dedicating her life to others as an international aid worker. She said the situation on Manus pulled her out of retirement. “I wasn’t all that worried about Manus in the first few weeks because I always believed that it was going to be temporary. That was five years ago now,” she said. Photographs show shipping containers stacked on top of one another which house four men each, and raw sewerage running over bathroom floors. “In the mornings they have to queue for toilet paper and are asked for how many sheets they would need for the day. They have to queue for anything – even a single Panadol. If they have medication they have to take twice a day, they have to queue twice a day. “The UNHCR have likened it to a concentration camp. Detaining a single asylum seeker on Manus or Nauru costs $400,000 per year. Australia’s offshore immigration detention program has cost the federal government at least $5 billion since 2012. The many stories shared by Ms Moon sparked murmurs across the audience at the forum. Among those was Councillor Michael Schilling, the only one of the nine councillors who showed up to the event. “There’s a lot we can do from a local government perspective,” Cr Schilling said. “We as a council want to continue to encourage diversity and break down racism within our community. During the presentation, Ms Moon received confirmation by a government official that all the men at Hillside – one of the camps on Manus – will go to jail in Port Moresby. “There is no end in sight to their incarceration. They have committed no crime and shouldn’t be there. 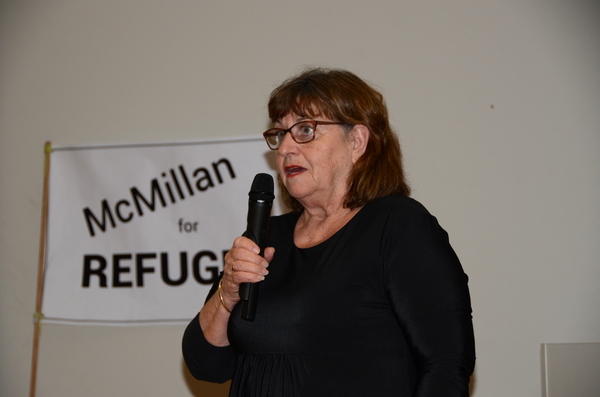 Another community refugee forum will be held by McMillan for Refugees later in the year, with details to come. 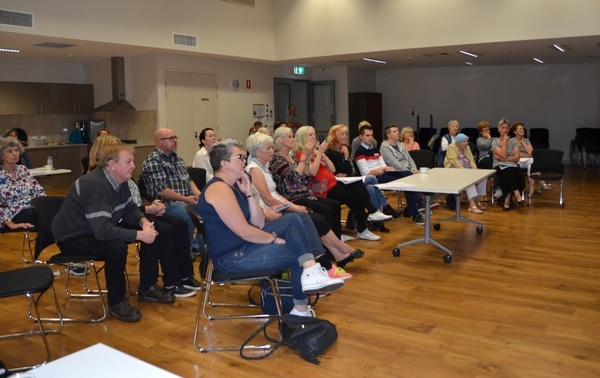 For further information about the group, contact Anne Jones on 0432 204 327. Donations to assist the refugees directly can be made through www.chuffed.com/justicformanus.